Ten people were confirmed to be injured as elements of the Manila Police District violently dispersed protesters from Southern Tagalog around 6 PM today. 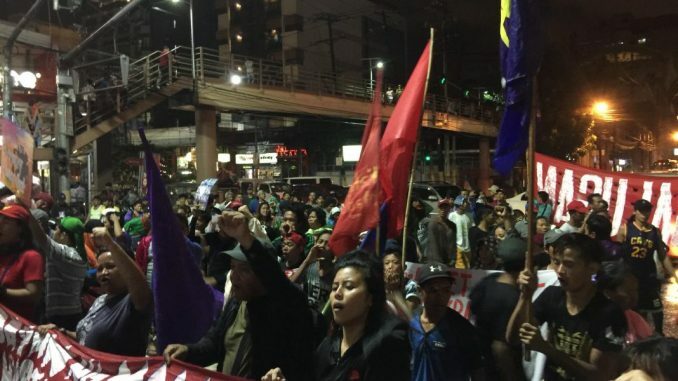 Militant organizations coming from the peasant, worker, women, youth, and indigenous sectors were wrapping up their program and were marching towards the United States Embassy when police hit them with shields and then proceeded to use a water cannon to disperse them. Led by Bagong Alyansang Makabayan Southern Tagalog, protesters trooped to the U.S. Embassy this afternoon to slam the U.S. government’s economic and military policies and agreements which the groups say are stepping over Philippine sovereignty. Protesters are now in Mendiola where they will be holding a press conference regarding the incident. 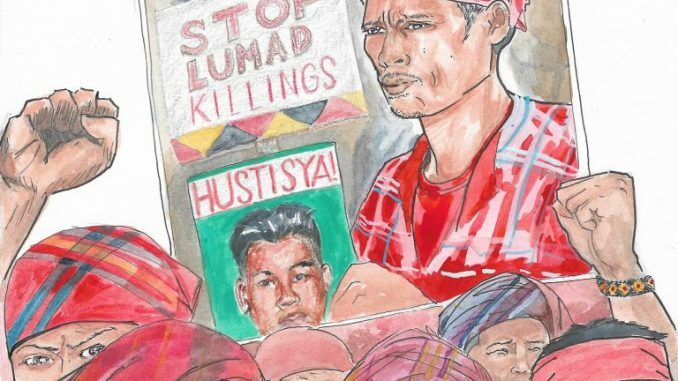 The groups had been journeying from Calamba, Laguna to Manila from July 18 to join the United People’s Sona on July 23 to register their call to oust President Duterte, as well as push forward pro-people policies on land reform, labor, education, and human rights. Workers at the protest camp in Mendiola welcome People’s SONA delegates from Southern Tagalog. 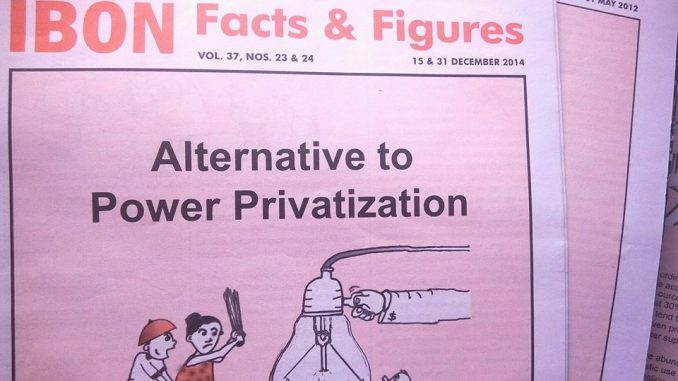 Photo from Defend Job Philippines’ Facebook page. They will be staying at the protest camp in Mendiola until July 21. 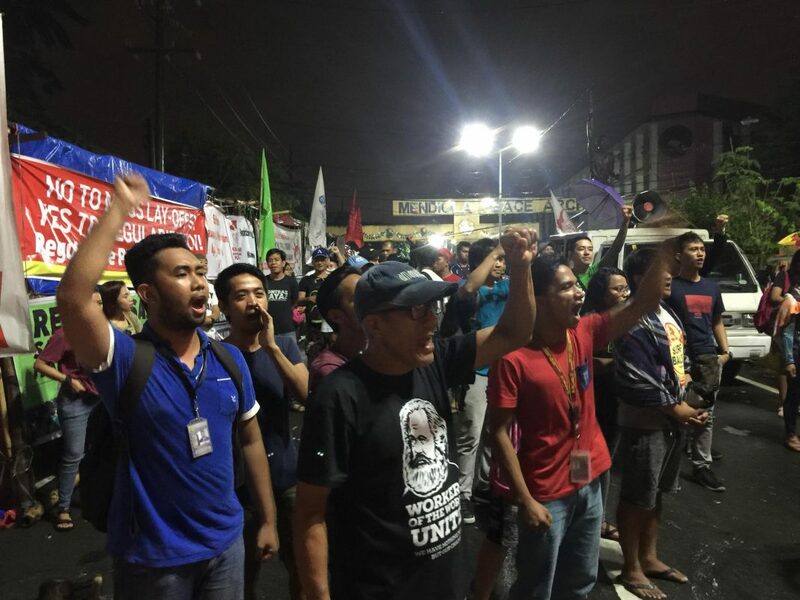 The post Police disperse Southern Tagalog protesters near U.S. Embassy appeared first on Manila Today.